Shipping Free White Glove Delivery! 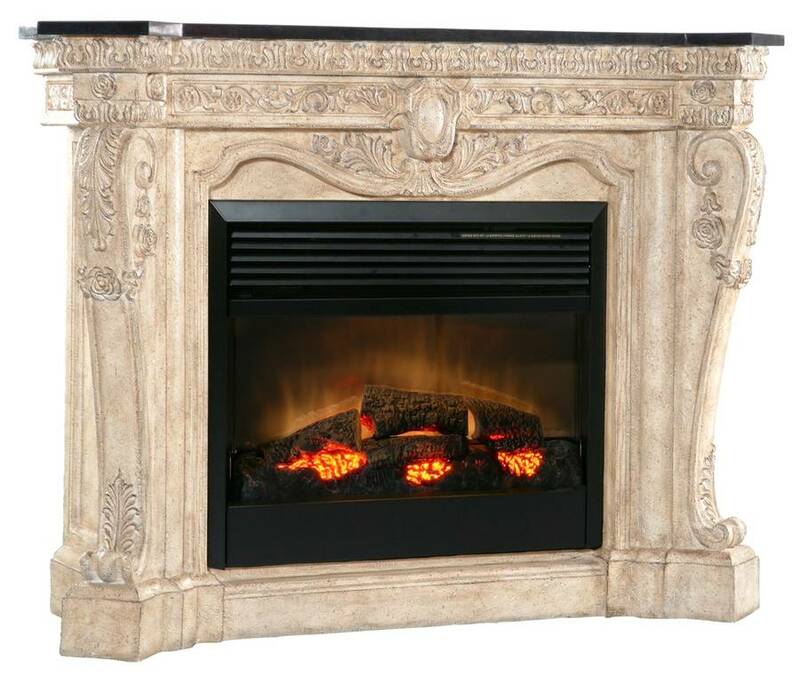 Dimensions W:61" x D:25" x H:45"
This cast stone electric fireplace features intense carvings and a black fossil stone top. 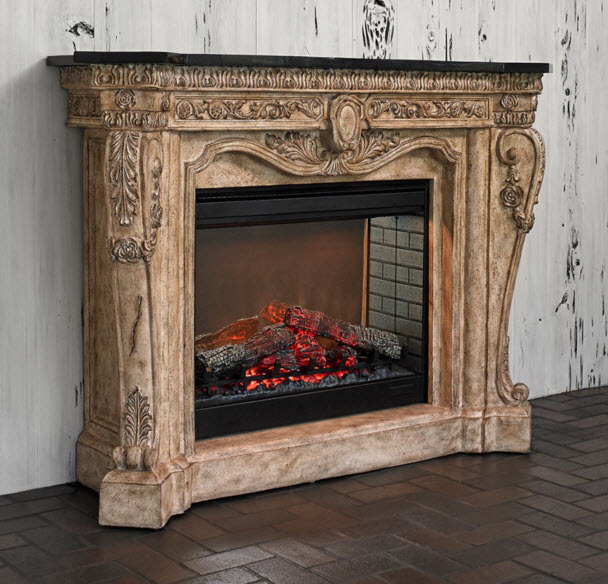 The firebox is 30 inches and features an on / off remote control with a thermostat and timer. All the realism of logs with flickering flames, soft glowing embers and a natural inner glow combine with an energy efficient, safe unit that can be added to any room, office, or bedroom with a standard household electrical plug. It is extremely economical in that it operates for pennies an hour, has no carbon monoxide or emissions from combustion, no cleaning required, and includes an impressive THREE YEAR WARRANTY with in Home Service. 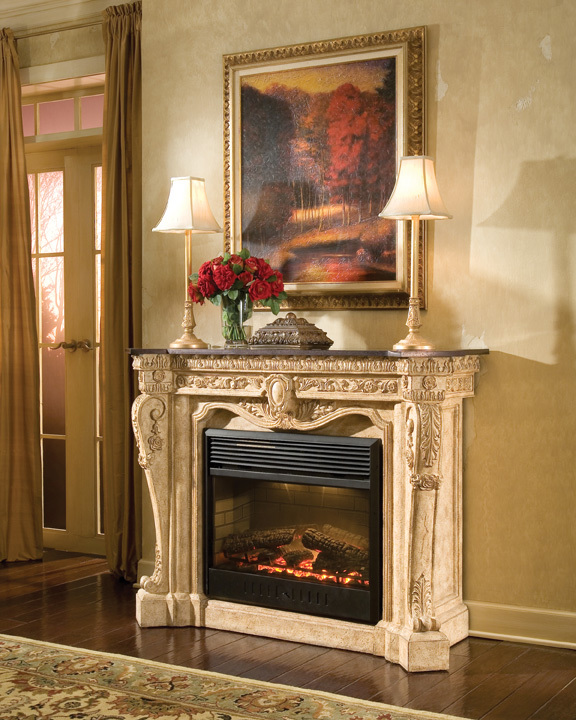 The first of the three pictures has a different look to the heating unit (see top of front of firebox). Which is accurate? It would be the insert advertised in the detailed images #2 and #3.